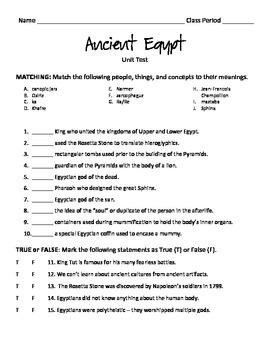 40-question Unit Test; includes multiple choice, matching, true/false, and sequencing questions. THIS DOWNLOAD DOES NOT INCLUDE THE ANSWER KEY. 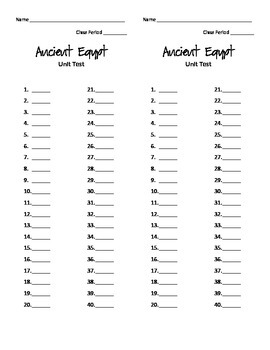 PLEASE SEE THE "ANCIENT EGYPT UNIT TEST PACK" ($3.00) which include Test, Answer Key, and Student Study Guide.